Girl with Unbrella. 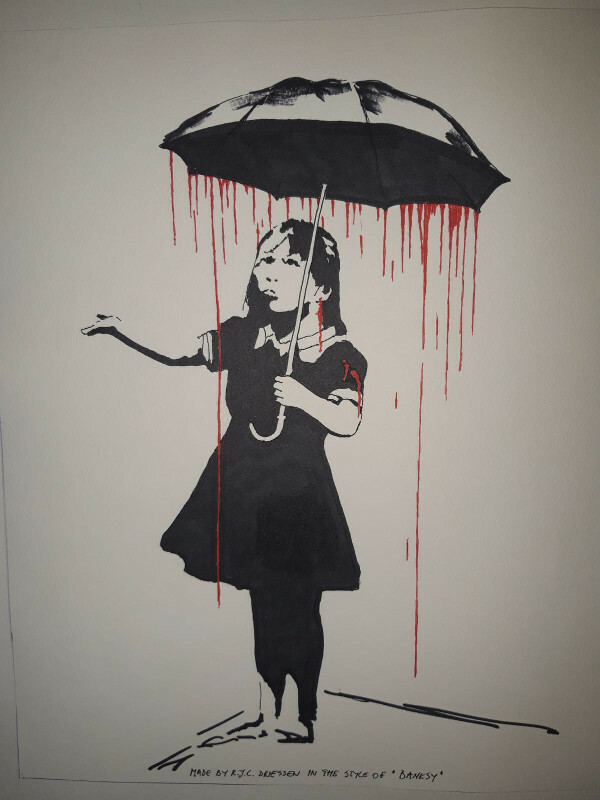 (Style of Banksy) Pen and Ink on paper. Price on request.